The name of this organization shall be MOLALLA RIVER BMX. The location of the Principal Office of the corporation shall be as designated by the board of Directors and shall be the repository of all corporation records. The headquarters shall be the distribution center for material, 920 Toliver Rd., Molalla, OR 97038. All correspondence shall be received at: PO Box 636, Donald, OR 97020. The objective of Molalla River BMX shall be to provide and maintain a high quality facility and provide a safe, fun, and competitive racing environment for racers and their families, support the goals and objectives of USA BMX, promote good sportsmanship among participants, promote community awareness of BMX and provide positive outlet for kids and adults of all ages. Said organization is organized exclusively for charitable, religious, education and scientific purposes, including for such purposes, the making of distributions to organizations that qualify as exempt organizations under section 501[C]  of the Internal Revenue Code or corresponding section of any future federal tax code. Notwithstanding any other provision of these articles the corporation shall not carry on any other activities not permitted to be carried on by an organization exempt from federal income tax under Section 501 [C]  of the internal revenue code. 2. Have participated in at least 3 organized track workdays at Molalla River BMX. five(5) times at Molalla River BMX. All members are expected to act in a sportsmanlike manner at all times. All members are expected to promote the sport of BMX and welcome new riders/spectators in a warm and friendly manner. All members are expected to lead by positive example, treating track officials, members and guests with respect at all times. A husband and wife or partners, will never be designated as co-signers on the checking account. The account will always require two (2) signatures from President, Secretary, Treasurer. Molalla River BMX funds gathered through entry fees, concessions, sponsors, fundraising, and donations shall be kept in a checking account. The Treasurer will review with the President and present a financial report at every Board Member meeting. The funds gathered shall be used to cover all operating expenses, financial obligations with USA BMX, track maintenance, and general event costs. No part of the net earnings of Molalla River BMX shall inure to the benefit of, or be distributable to its parent/members, Board Members, or other private persons except that Molalla River BMX shall be authorized and empowered to pay reasonable compensation for services rendered and to make payments and distributions in furtherance of the purposes set forth in Article II hereof. Molalla River BMX shall keep such permanent books of account and records as shall be sufficient to establish the items of gross income, receipts, and disbursements of the organization. Such books of account and records shall at all reasonable times be open to inspection by any Board Member. Each qualified member shall be entitled to one vote. Parents/guardians of minor members that meet the Eligibility (Article III) will have one vote per household for elections. If a member is of 18 years of age and resides with a minor member, the member 18 years of age or older can cast an individual vote. Officers of Molalla River BMX shall be President, Track Operator/Vice President, Assistant Track Operator, Treasurer, Secretary, Public Relations Officer, Member-at-Large. The officers shall also constitute the board of Directors. All officers/directors shall be members in good standing of Molalla River BMX (Article V), and no less than 18 years of age. Associate members are not eligible to be officers or directors. Each Officer shall serve a term of two years, but may serve successive terms if so elected. Each year three of the six Officers will be up for re-election. A President will be appointed by the board, and has no term limit. If a board position is vacated prior to term fulfillment, a replacement will be appointed by the President to fulfill that term. The board of Directors shall appoint all chairpersons to serve upon designated committees. During an election year, the President shall appoint a nominating committee in September, effective for the ensuing year. The nominating committee shall request nominations for candidates from members beginning the first Sunday in October and open nomination will conclude at main break on the third Sunday in October. Nominations may be made from the floor at the October business meeting, provided the candidates have consented to service if elected. Election of the officers/directors shall take place at the Annual members’ meeting in October. All officers/directors shall take office at the beginning of the fiscal year. a. Be the Chief Executive Officer of the Corporation, ensure activities of the track and association follow incorporation laws, bylaws, and any contracts or agreements entered into by the association. b. Shall have knowledge of current rules and regulations as set forth by USA BMX. c. Have general supervision of its affairs and business. d. Preside at all meetings, the annual meeting: schedule regular meeting and emergency meetings when necessary. e. Initiate new procedures only with the approval of the general membership. f. A good president will create a positive environment ensuring all board members understand their responsibilities and are able to fulfill them. The president will represent the board as whole and not act as a staff supervisor. g. The President shall have one vote at every meeting of the membership but this vote shall only be exercised if it is necessary to break a tie. a. Submit race schedule to USA BMX. b. Insure that all events are competition-ready; to include, but not limited to: track prep, event set up, awards, event staff/official training. c. Lead and/or assist with track maintenance on designated workdays. d. Have complete control of all aspects of races. e. Determine and enforce race rules, method of racing, classes available, etc., in accordance with USA BMX (sanctioning body). f. Be on the track during practice and races observing the riders, or appoint a suitable designee. g. Assist new riders/families and work to recruit volunteers to serve roles at the track. h. Submit TORF (including all event paperwork) in accordance with USA BMX guidelines. i. Have Authority to cancel races in any emergency situation. b. Make disbursements as authorized by the board. c. Maintain a full account of funds for Molalla River BMX including all receipts and disbursements. d. Collect and maintain expense records. e. Prepare financial report for board meetings. ​f. Responsible for an annual report of the financial condition or Molalla River BMX at the end of year general membership meeting. g. Prepare IRS forms in accordance with tax- exempt status under section 501 c (3) of the Internal Revenue Code. b. Report previous meetings minutes. c. Maintain and reference previously discussed meeting information. d. Maintain a current copy of the Molalla River BMX bylaws. a. Actively promote, publicize, and lead fund-raising efforts. b. Send out email and social media announcements, press announcements, events and promotional items. c. Manage the official web page of Molalla River BMX. d. Perform such other duties as may be assigned. Member-at-large does not have a specific list of duties. Member-at-large will serve the board’s strategic needs as determined by the President at any given time. Member-at-large may have various responsibilities and projects – short or long term – during their elected term. (1) The board of Directors shall have the authority to approve any budgeted or non-budgeted expenditure or borrowing in any amount as it may deem appropriate. Any expenditure in excess of $300 must be approved in advance by the board of Directors. Any expenditure or borrowing in excess of $10,000 must be approved in advance by a majority vote of the Governing Body. (2) The board of Directors shall approve all budgets of the corporation. (3) All checks issued must have the signatures of two Officers. (4) Any Officer shall have the authority to approve, authorize and sign checks for any budgeted or non-budgeted expense not in excess of $300 with the co-signature of another Officer. With signatures from two Officers and the prior approval of the Governing Body, checks may be issued for expenditures in any amount. MEETINGS: Meetings of the board of Directors shall be held at such time and place as shown in the standing rules or as otherwise designated from time to time by the board of Directors. Members (as qualified in Article III, Section 3) may attend the meetings of the board of Directors, except when the directors, in their discretion, meet in executive session. The annual budget meeting will be held in December, and shall include current Board of Directors and newly elected board members. Quorum and voting. Five (5) Directors shall constitute a quorum to transact business. The vote of a majority of those Directors present at any meeting shall constitute the act of the board. in October of each year. And such other special meetings as may be called according to Law. Notice for regular meetings shall be provided at least one week in advance by e-mail and/or text message/social media outlet. QUORUM AND VOTING. Those members and associate members entitled to vote, present at the meeting, shall constitute a quorum. Unless otherwise provided by these bylaws or the Articles of Incorporation. The vote of the majority of those members entitled to vote, present at the meeting, shall constitute the act of the members. The Track Operator will be responsible for the track safety and condition. He/she will not allow any changes to the track without prior approval of the board. No changes will be made to the track for a period of two weeks prior to any state race. Necessary maintenance and grooming will be permitted at the Track Operator’s discretion. All proposed changes regarding the track will be referred to a board appointed committee, to include the T.O., Asst. T.O. and no less than three (3) members. Upon resolution of the proposed project, the committee will present to the board for a vote before work can begin. AMENDED AT ANY MEETING THE MEMBERS OF THE CORPORATION BY TWO THIRDS (2/3) VOTE OF THE MEMBERS PRESENT AND ENTITLED TO VOTE. 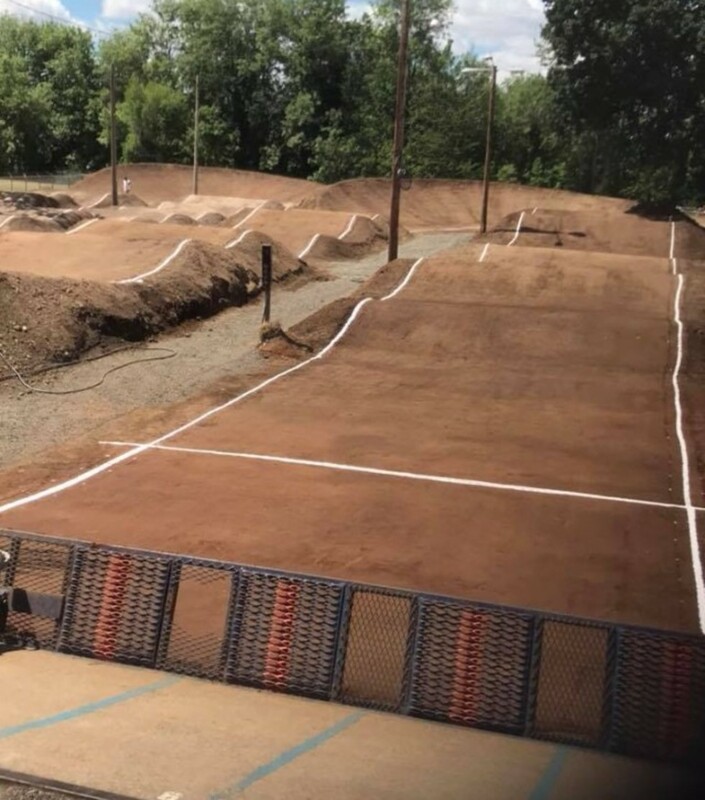 Upon dissolution of this corporation Molalla River BMX debts will be paid and other assets will be donated to other non-profit Oregon BMX tracks. All permanent fixtures will revert to the City of Molalla. Any funds left available after all liabilities are settled will be donated to a charity, decided on by the board.